AOC: Petit Chablis, Chablis, Premier Crus Vaugiraut, Vaillons, Fourchaume, Montmains, Montee de Tonnerre, Mont de Milieu and Grand Cru Les Clos. A family domaine for five generations now, Lilian is the latest vigneron of an estate created in 1895, taking over for his father Gerard in 1999. After going to school and internships in the region (“There was no point in making Sauvignon blanc in New Zealand, I needed to know how to work Chardonnay in Burgundy” he says), Lilian has turned the domaine into one of the very few organic estates in Chablis. The domaine is entirely within the Chablis and Petit Chablis AOCs and is planted solely to Chardonnay. Most of the vineyards are Premier Cru (Vaugiraut, Vaillons, Fourchaume, Montee de Tonnerre, Montmains, Mont de Milieu) and one Grand Cru (Les Clos). 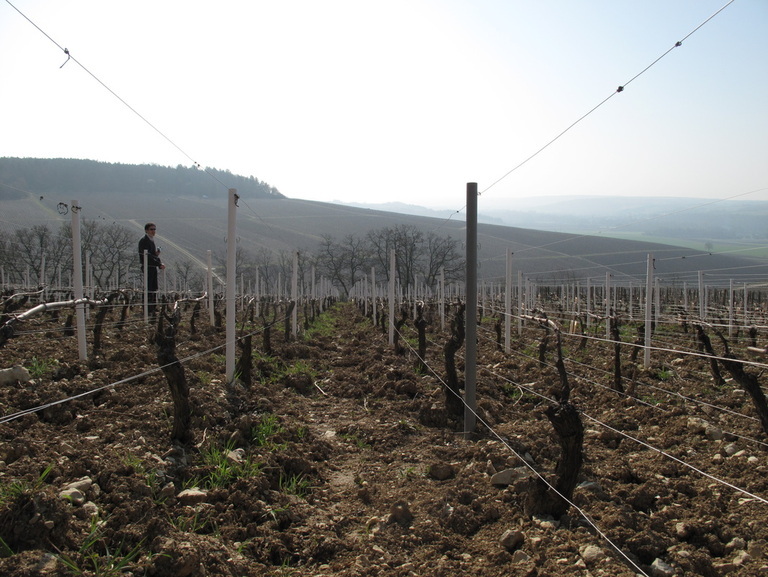 All vineyards used for village, Premier Cru, and Grand Cru wines are Kimmeridgian limestone, with the Petit Chablis on Portlandian limestone. Vinifications are done ﻿﻿in stainless steel﻿﻿, then most of the Premier Crus (all but Vaugiraut) spend about 6 months in older barriques for elevage. Les Clos spends nine months. The Vaugiraut, Chabils, and Petit Chablis are raised entirely in stainless. All the wines are fermented naturally and sulfured between 20 and 30 ppm at bottling. Lilian makes some of the purest, most terroir-driven wines in the region. Petit Chablis, from a single parcel in the village, on Portlandian limestone, is the easiest, freshest wine of the line up. A quaffer that shouldn’t be cellared but drank and shared early on. Chablis, from within the village limits (Chablis can be made outside of the town), is a single vineyard of relatively young vines, about 10-15 years old. A bottle to enjoy within three years and a true classic Chablis. 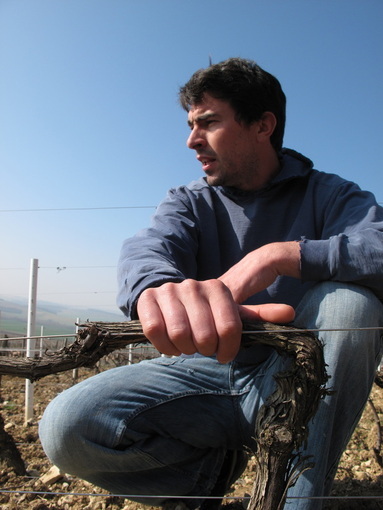 Vaugiraut, Lilian’s youngest vineyard in the Premier Cru holdings, is the only one he feels doesn’t require wood elévage and recommends aging 2 to 8 years. Vaillons is from four parcels (Minot, Epinottes, Séchet, and Chatain) on southeast exposure. Maybe the most exotic, fruity of all the crus. Keep up to 10 years. Fourchaume is from two parcels on very rocky soils with south exposure. One of Lilian’s favorite crus. Reserved, deep, and austere, it should keep anywhere from 4 to 10 years. Montee de Tonnerre, from 5 parcels on a southeast exposure with clay heavy soils, delivers a very long, mineral, and complex wine that should age up to 15 years. Montmains, from two parcels with clay over the limestone, is a powerful wine that’s one of the most age worthy of the domaine, up to 15 years easily. Les Clos is the only Grand Cru holding. 40 ares in the middle of the slope, their best vines. A wine that should age forever.